The PRC was established in Beijing on October 1st, 1949 when the communist party defeated the nationalist party, the Kuomintang. 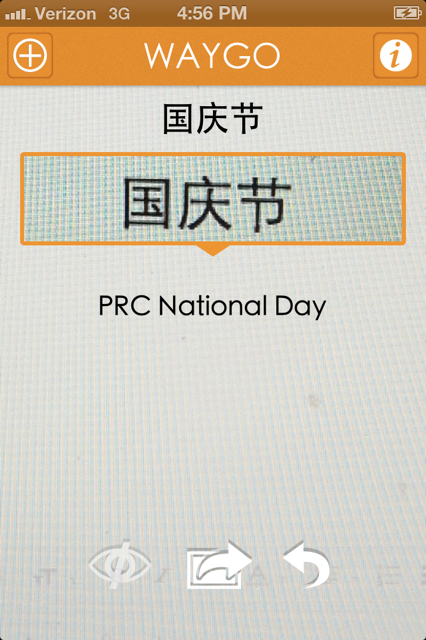 Technically, the PRC was official on September 21st, 1949, but October 1st was when it was first celebrated in Tiananmen Square with Mao Zedong presiding over the celebrations. The Kuomintang relocated the ROC government to its present capital in Taipei. In honor of the nation’s anniversary, three days of paid holiday are given, and the surrounding weekends are rearranged so that Chinese students and workers have seven continuous days of holiday, from October 1st through the 7th. Although the seven consecutive days off are certainly appreciated, the two extra days off that were created by rearranging the weekend, must be made up by having more than 5 days of school or work prior to and/or following the Golden Week*. *Actually, there is not one, but two Golden Weeks in China: one happens during the Chinese Lunar New Year (happens in late January or early to mid February), and the other happens during the national holiday. 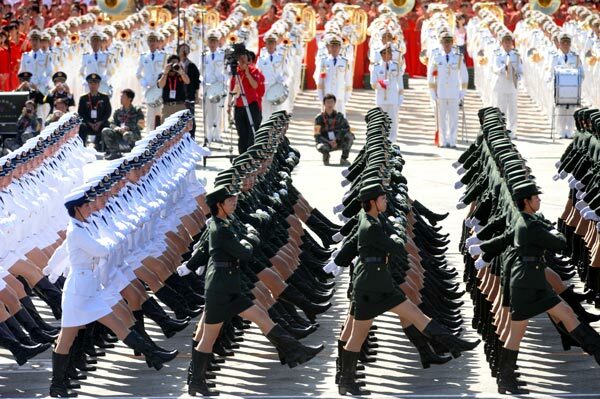 Festivities for National Day include military parades, as well as a ordinary people parades. Other activities include firework displays, entertainment shows, and flag-raising ceremonies. For the shoppers out there, shopping sales are also widespread–and now you can actually understand the sale signs by bringing Waygo along to help translate! For additional inspiration for fun to be had try 62 Ways to Celebrate Chinese National Day, and in the case you’re not in China, keep an eye out for local celebrations during the Golden Week. 十一 (shí yī): Another name for national day. Literally, “ten one”, as in October 1st. While the establishment of the Golden Weeks are a thoughtful action to improve the standard of living, creating a rest away from work and an opportunity for people to visit family, the Chinese government has economic motives: to expand the domestic tourism market. 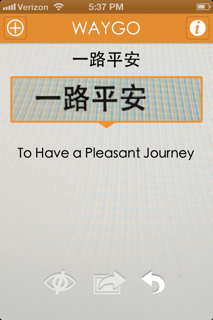 With the time off, and the weather generally nice, it’s no wonder Golden Week is a popular time to travel somewhere new. Crowds at popular attraction sites swell to new sizes, train tickets are in difficult to purchase, airplane tickets prices increase, and hotels fill up. To give you an idea of just how massive this annual movement of people looks like, Wikipedia reports that when the government announced that national highways would be toll free for 2012′s Golden Week, 86 million people traveled by car/bus. The same year, the Forbidden City in Beijing had a new record of 182,000 visitors within one day on October 2nd, the Mausoleum of Sun Yat-sen had 215,000 visitors on October 4th (10 times the number of visitors on a normal busy day), 7.6 million people travelled by Chinese airlines, and 61 million people travelled by train. There aren’t even 61 million people living in the entire country of Italy! 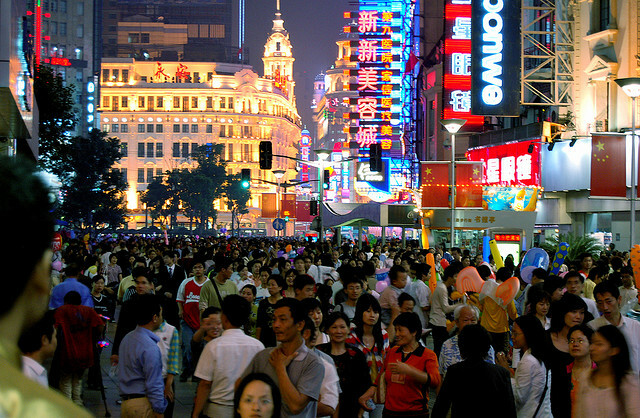 Despite the denser crowds and larger costs, don’t be talked out of enjoying a week in another part of China. 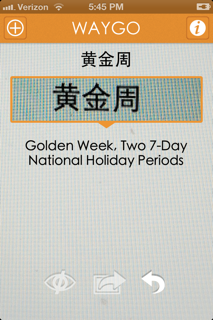 However, if possible, avoid the first two days and the last day of Golden Week, as they are the most hectic (and expensive) times for traveling. For cheapest tickets, book airplane and train tickets as far in advance as possible. Train tickets can be purchased 20 days in advance, and may sell out within minutes of becoming available, so do your homework and know the moment to buy! Also, it would be wise to choose an adventure a little further from the beaten paths and a little closer to roads less traveled. Since hotels are in high demand, and thus expansive and hard to find, consider such accommodations as Couchsurfing and Airbnb, which help you experience your new environments with a more local perspective. ← Chinese Numerals: Easy as 1, 2, 3!